Purpose: Use this document as a reference for using your class roster in ctcLink. 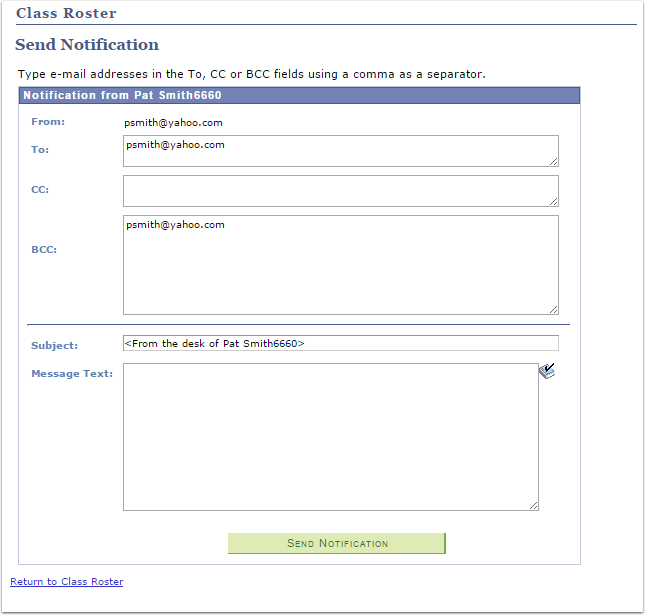 Faculty can also use this section to send email notifications to all students, or to individual students that the faculty member selects. 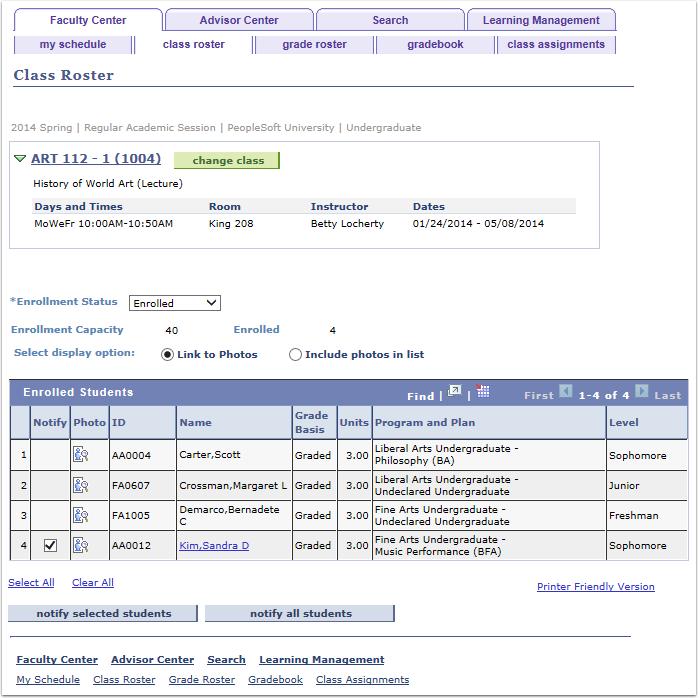 The Class Roster can be seen by going directly to the Class Roster tab in Faculty Center or by clicking the Class Roster icon in line with the class on the My Schedule tab. Click the photo icon to view a student photo, if available. Click the Notify checkbox to email select students or click Notify All Students to email all students enrolled in the course. Enter the notification content in the email content page.